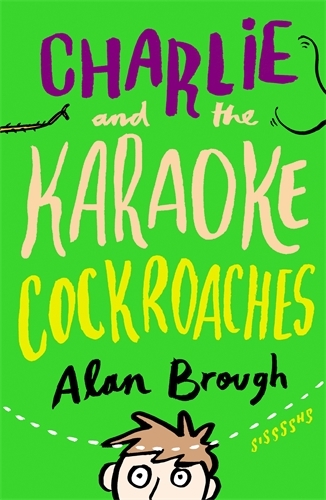 Charlie and the Karaoke Cockroaches is Alan Brough’s second middle fiction novel. And yes, if you’re wondering, it’s the same Alan Brough, comedian of Spicks and Specks fame. I have to admit, I hate cockroaches and approached this book warily. I forgot all about cockroaches’ creepiness in the moment I started reading. This novel is a crack up and I loved the main character Charlie. His observations and notes are hilarious. Take a missing friend, a mysterious black box, a useless burglar, and a sprinkling of fantasy, roll it together, and you have a fantastic novel for readers aged between 7 and 10 years.